For the first time in many years, the Newton County Sheriff's Office hosted a Reserve Deputy & Part Time II Class. The class is designed to teach basic law enforcement procedures such as patrol procedures, drug/narcotics enforcement, search & seizure and DWI enforcement. 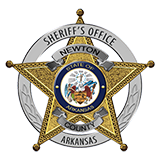 Upon completion of the class, those people that are selected to serve with the Newton County Sheriff’s Office, work in an unpaid, part time role, to enforce state and local laws. Reserve Deputies provide additional man power to an underfunded and under staffed Department, enabling the Department to better serve the public. They frequently perform in tasks that would otherwise require a full time, paid deputy such as Prisoner Transport, Security for Special Events, Natural Disaster assistance and Search and Rescue functions. Successful graduates of the Reserve Deputy Class are eligible to apply at other law enforcement agencies as either Reserve Officers/Deputies or as part time officers with the agency.